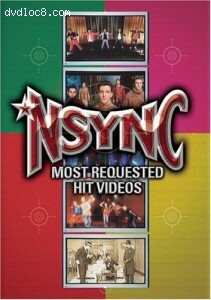 Synopsis: NSYNC's Most Requested Videos is a complete collection of your favorite NSYNC music videos from their multi-platinum selling album releases No Strings Attached and Celebrity. This set includes their hit videos "Bye, Bye, Bye," "Pop" and "Gone" as well as previously unreleased Spanish version of "This I Promise You," and special live MTV performances of "Pop" (from the MTV Video Music Awards), "Gone," from the MTV Special NSYNC's Road to Celebrity and much more. There are no other editions of this movie in the current region (region Free).